Enjoy at least 30 days (up to 168 days depending on dispenser model and interval setting) of inviting fragrance wherever you install a standard size automatic air freshener dispenser from Rubbermaid Commercial Products. One case could last you at least 300 days of that smell-good, welcoming scent. No buttons to push or sensors to trip, these electric air fresheners automatically dispense the perfect amount of fragrance based on timed intervals. Pick one up today for home or commercial use. Air fresheners are products used to get rid of unpleasant smells in homes and are also business products used in restrooms. They exist in various brands and forms which include candles, beads, sprays, gels, plug-ins, and oils. Most of the users nowadays are not only those who want to remove the bad smell but also others enjoy the odor smell of the products. Recently air fresheners have been used widely as commercial products in most of the restaurants and business premises. Rubbermaid air fresheners are the most used type since it is an industrial product that brings together technology to provide clean washrooms and bathrooms in most commercial premises. This type is contained in various ways depending on the features of each form. The Rubbermaid standard size refills are the latest and digital air fresheners and are found in the form of dispensers and refills. -They last for at least a month before they are refilled and can go up to 60 days while others go up to 168 days before they are refilled. -It's functioning is seen through the yellow light and audio as well as the LED light which it produces and shows the extent of the battery and that the dispenser is still working. -The intensity of the smell in the room defines its presence and since they use batteries. Its fragrance is unbeatable. It makes your environment more appreciated by others. -It also has adjustable features such that it sprays at an interval of time as from 14 to 28 minutes and is automated. -These air fresheners also use a bit advanced technology to control the smell the odor smell. It has what it takes to offer desired clean and habitable environment. -They have simple settings in that it sprays for every 14 minutes and also since it indicates the extent of the battery. -Defining when to refill is just simple and that the battery level is easily indicated. -They are also beneficial since the time interval is advanced in that it is adjustable from 7 to 14 to 28 minutes. It is also relatively cheap hence affordable to many. The best thing with Rubbermaid products is that they have come up with products which are less hazardous due to advancement in technology. This has helped the product be a hit the market getting a good number of customers who can safely use the products with less effect. The air freshener is an ozone-friendly since the carbon gas contained in it is purified before its release. With this air freshener, all your stuffy environments are awakened. You can't ignore the smells when you've guest coming around. 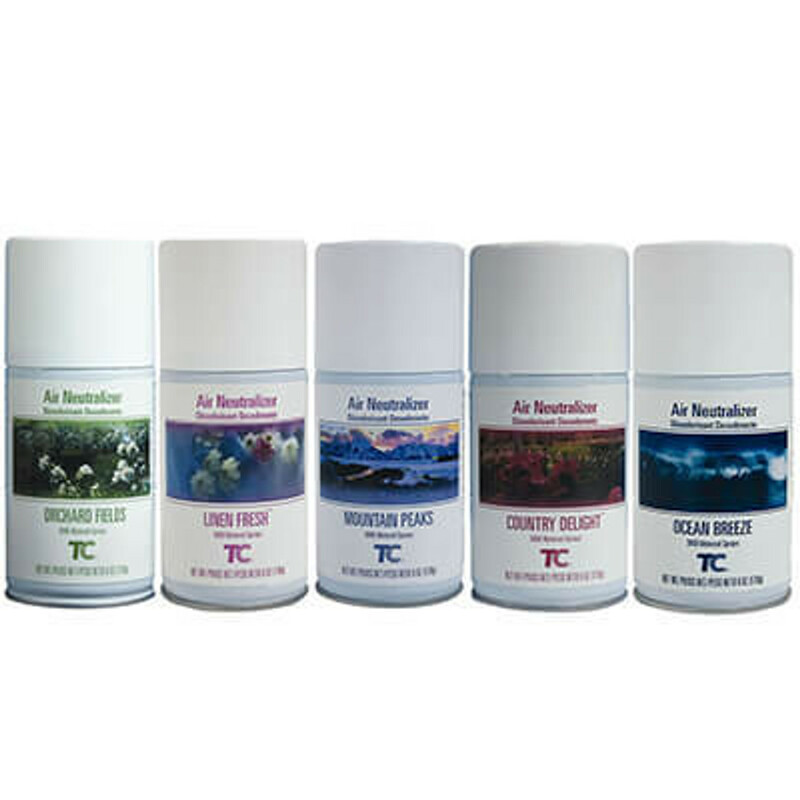 Air fresheners should be part of our daily consumer products because of their nature and use. These products help us to have a fresh attractive scent on our business premises, restrooms, and washrooms among others. Their scent and fragrance will make you feel the moods of the most adorable moments in your life.